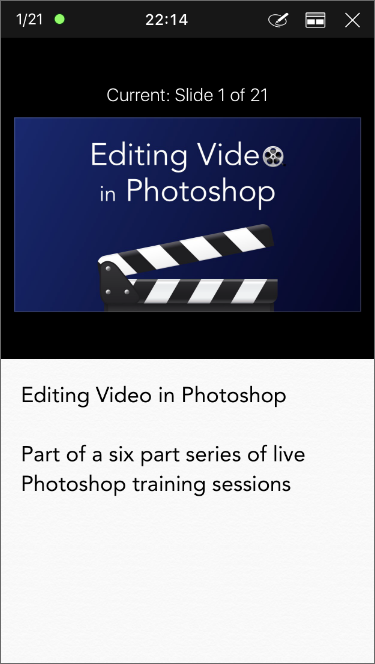 Long gone are the days of a separate application to control Keynote presentations from iOS. Everything you need to create, edit, present and control presentations is now contained within the Keynote iOS application. 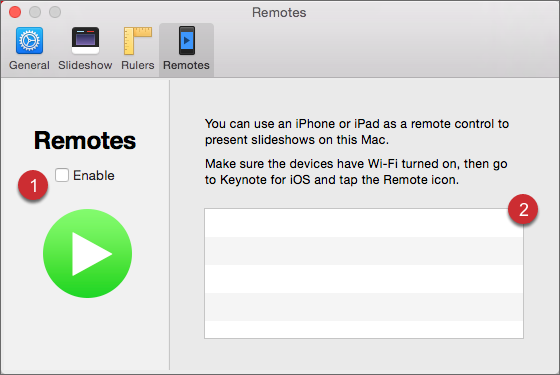 Here’s how to use the iOS Keynote app to control Keynote running on your Mac. 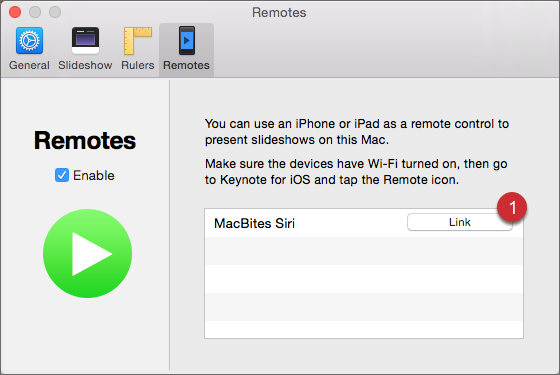 On the Mac select Keynote > Preferences and click Remotes to open the Preferences panel for remotes. 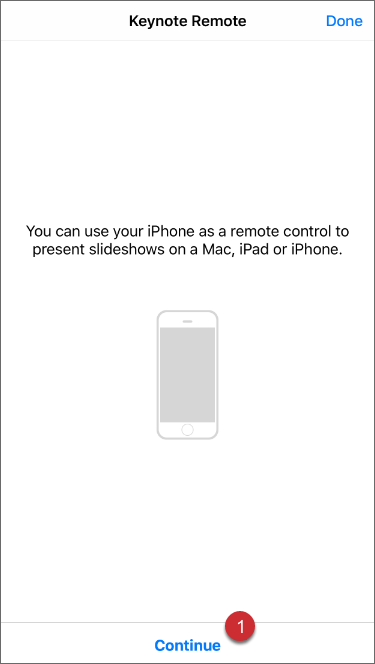 Remotes are not enabled by default so to ensure you are able to control Keynote via the iOS app be sure to tick the Enable checkbox (1). Once connected the name of the iOS device will appear in the list on the right (2). Open the Keynote app on an iOS device and tap the Remote option in the top left corner (1). 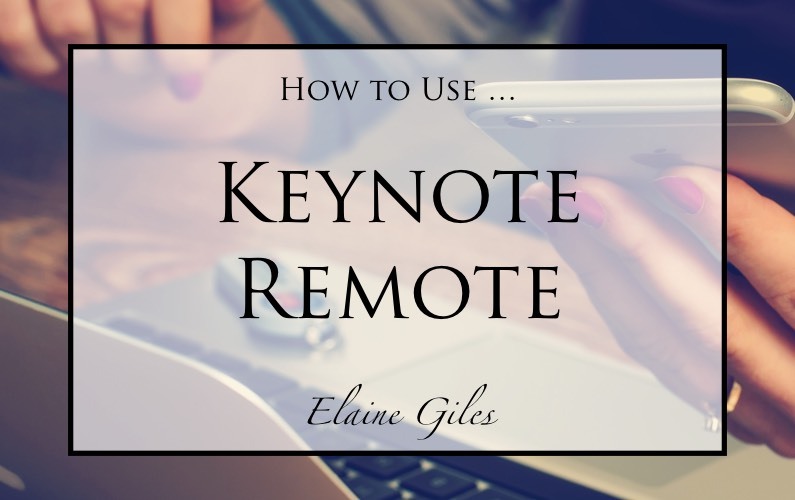 Tapping the Remote option opens the first screen of the Keynote Remote connection process. Tap Continue at the bottom of the screen (1). The second screen of the Keynote Remote connection process gives instructions on how to prepare the Mac version of Keynote to be able to connect it with the iOS device. It also puts the iOS device in connection mode. Back in Keynote for Mac the name of the iOS device in connection mode will appear in the list on the right. 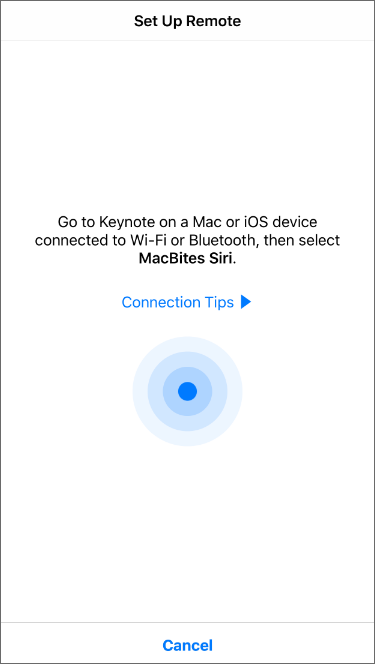 Click "Link" to link Keynote for Mac to the iOS device (1). 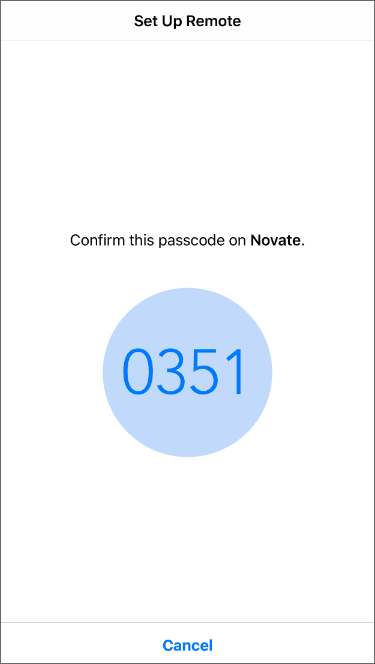 A passcode is displayed on the Mac running Keynote. Check the same code is displayed on the iOS device. If the passcodes match click the Confirm button on the Mac. 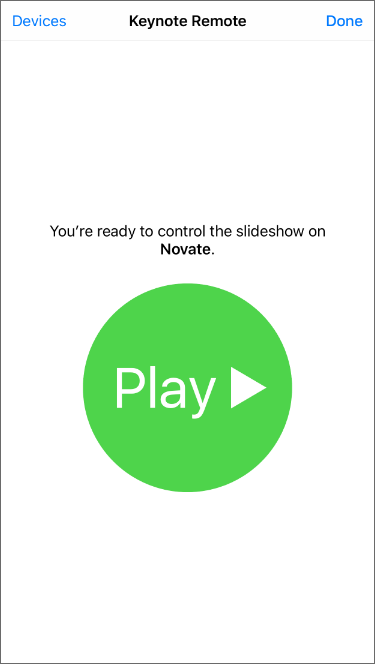 Once the Play screen is displayed you are ready to control the slideshow running on the Mac from the iOS device. Once the connection is made the Link button becomes an Unlink button in the Remotes tab of the Preferences Dialog Box. Should you wish to unlink the iOS device from the Mac click this button. 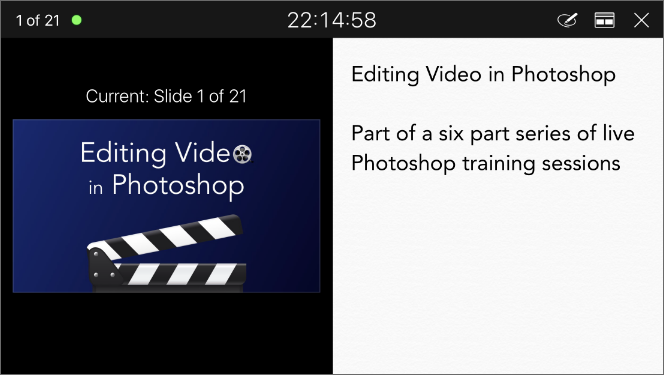 Once connected the presentation open in Keynote on the Mac appears on the iOS device in presenter view. There are several alternative layouts available from the Layout Options button at the top of the screen on the right (1). Tapping the Layout Options button opens the Layout Options screen. The five alternate layouts are listed. The layout option currently selected is indicated with a blue tick. I find the most useful layouts to be Current and Notes, here shown in horizontal mode. This is the same view, Current and Notes, in vertical mode. Swiping the slide to the left moves the presentation on to the next slide (1). Swiping the slide to the right moves the presentation back to the previous slide (2). The slides displayed on the Mac can have annotations added directly from the iOS device using the Annotations tools. 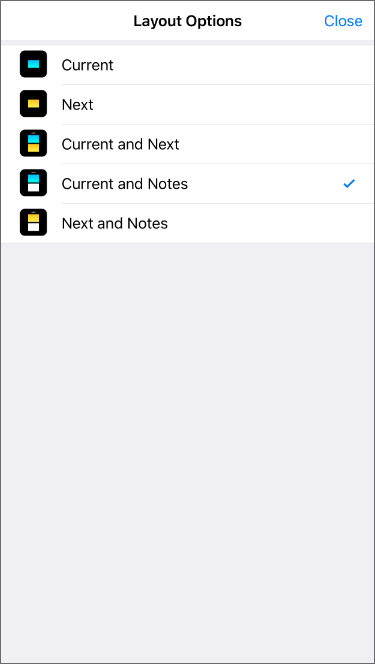 Activate the Annotation tools using the Annotate icon at the top of the iOS screen (1). 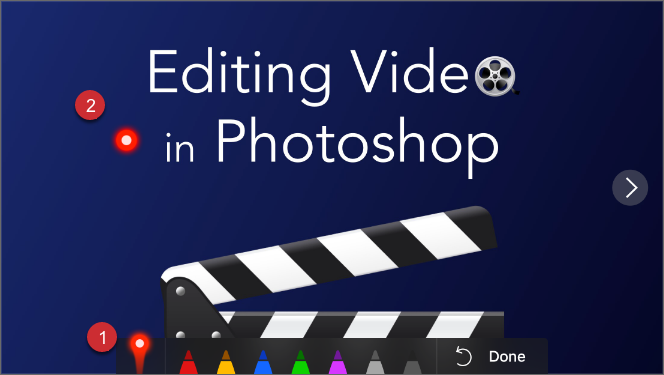 A range of annotation tools are shown at the bottom of the screen. The green pencil is selected here (1). 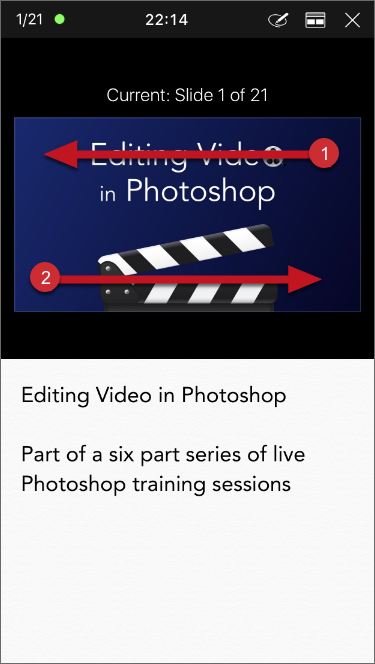 Annotations are made using your finger on the screen (1). They can be undone using the Undo tool (2). You exit annotation mode by tapping the Done button (3). Another tool available is the Laser Pointer tool. This is accessed using the tool selector at the bottom of the screen (1). The Laser Pointer is moved around the slide using your finger (2). To close the presentation on the Mac you are controlling with the iOS device tap the cross in the upper right of the iOS screen. 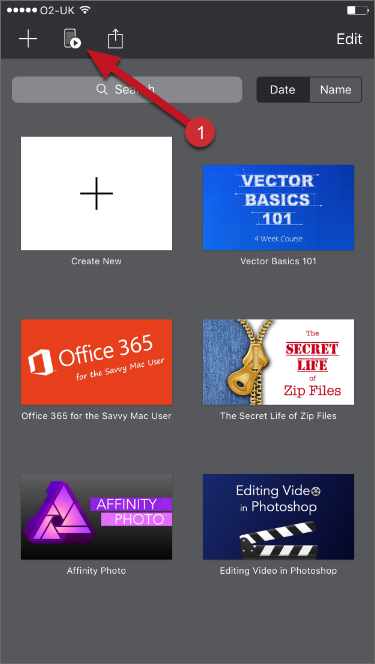 Keynote for Mac is available from the Mac App Store. Keynote for iOS is available from the iOS App Store.